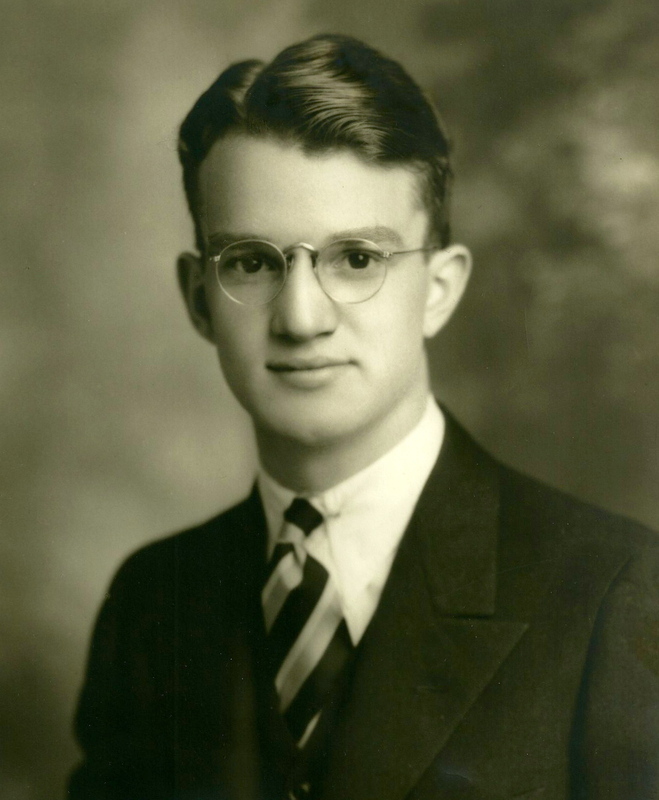 One hundred years ago today, on May 27, 1915, my father was born. Francis Matthew was the sixth of nine children born to Joseph French Sinclair (Nov. 7, 1877 – Jan. 30, 1961) and Mary A. Winkler (March 25, 1887 – Jan. 30, 1970) of Exeter, New Hampshire. Three of the nine children did not live past the age of two. Francis’ father was born in Exeter as well. Joseph was an eighth-generation descendant of John Sinkler, a Scottish immigrant “seeking liberty, fortune, and a home” who “appeared” in Exeter in 1658. (The settlement of Exeter had been founded twenty years earlier by Rev. John Wheelwright “in the wilderness about the Falls of Squamscott in New Hampshire.”) Francis’ mother had emigrated from Poland with her family when she was around five years old. Whatever Francis was planning to do after graduation – possibly attending The Wentworth Institute of Technology in Boston, MA? – those plans were set aside during the winter of his senior year. That was when his girlfriend, Marjorie, announced to him that she was pregnant. On April 30, 1933, 17 year old Francis M. Sinclair and 16 year old Marjorie Ann Graves were married by the Rev. Harold W. Curtis at the Middle Street Baptist Church in Portsmouth, NH. The newlyweds moved in with Marjorie’s family in Hampton Falls, NH. Francis went to work at The Wellswood Tavern, an establishment in Hampton Falls owned and operated by Marjorie’s mother Bertha. Whatever initially brought Francis and Marjorie together did not last. By the end of February, 1934, they were separated. Francis moved back home to Exeter, getting a job stocking shelves at the First National grocery store downtown. Marjorie remained in Hampton Falls, raising Barbara with her family’s help. In October of 1937, Marjorie filed for divorce and full custody of Barbara Ann. Marjorie eventually remarried. Marjorie and her new husband, George M. Eames, moved to Albany, NY, sometime between 1941 and 1943. Most likely, George adopted Barbara Ann. Unfortunately I didn’t know that I had a half-sister until 1998. (Thank you, Aunt Gertrude!) I was only able to piece together the info above from researching public records at that time. All my attempts to find Barbara were unsuccessful. I wish I had known about her when I was younger. Maybe we could have gotten to know each other. I have never been able to get a good explanation from anyone as to why I had not been told about Barbara. Sometime in 1938, Francis met Avis Louise Foss through a mutual friend, Anne Miles Kucharski. Avis was a registered nurse, working at Exeter Hospital. She’d grown up in Center Strafford, NH, the first born of George and Stella (Libby) Foss’ six children. Francis at that time was a truck driver, delivering Squamscot Beverages for the Conner Bottling Works in Newfields, NH. He also worked evenings as an usher at Exeter’s Ioka Theater. During their courtship, Francis would occasionally sneak Avis into the theater to see a movie for free. Francis and Avis were married on Tuesday, May 27, 1941 at 2:30 pm in the Parish House of St. Michael’s Catholic Church in Exeter. The Rev. Daniel J. Cotter officiated. The happy couple made their home at 14 Green Street, the left-hand-side apartment in a two-story duplex not far from downtown Exeter. Over the next decade, Francis held several different jobs while Avis continued to work at the hospital. From 1942 – 1943, for instance, Francis was a machinist at the Portsmouth Naval Shipyard in Kittery, ME. From 1945 – 1947, he was a mechanic at Don Chase’s Amoco Gas & Service Station on Main Street in Exeter. During these years, Francis also had his first taste of the two jobs that came to mean the most to him and that he would continue to do for the rest of his working life. In 1947, Francis started doing “nursery work” at Charles H. Williams Nurseries – “The Home of Wild Flowers” – out on Newmarket Road, in Exeter. This part-time job for Mr. Williams turned full-time in 1948. During these years as well, Francis and Avis were trying to start a family. Finally though, they joyfully welcomed their first and ultimately only child – me – into the world in August of 1953. Not long after I was born, my father took a full-time, year-round job at the new Simplex Wire & Cable facility in Newington, NH, loading ships with mile after mile of transatlantic telephone cable. He picked up some additional work, when he could, back at Don Chase’s Amoco Station. After a few more years at 14 Green Street, Dad, Mom and I moved down and across the street to #19, a small but single-family house. In 1961, my father and mother were presented with a unique opportunity. Charles H. Williams was ready to retire and he approached Dad about taking over his well-regarded-but-declining nursery and wildflower business. Dad greatly enjoyed the work he had done over the years for Mr. Williams and was more than ready to go to work for himself. So, on September 27, 1961, the paper was signed and Charles H. Williams Nurseries officially became Francis M. Sinclair Wildflowers. Year after year, Dad did everything he could to build up the business and keep his ever-growing list of customers happy. He’d never enjoyed any other job he’d ever had as much as he enjoyed being – as his friends gleefully called him – a “bush crook.” As the business thrived and our family prospered, my father was free to use the down time of the “off seasons” as he wished. During the summers, he would immerse himself in planting and maintaining a large vegetable garden. During the winters, he would go ice fishing in his hand-made smelt shack. When I got to be old enough, Dad started to take me with him; to the garden, to the river, to the fire station and to work. On many a warm summer evening, I crouched beside him, pulling weeds and picking whatever vegetable was ready to be picked in that large garden that he planted on a piece of land owned by his Uncle Matt Winkler – Mary’s youngest brother – just off Route 108 in Newfields. On many cold winter afternoons, I sat next to him in that two-person, kerosene stove-heated smelt shack out on the ice in the middle of the Newmarket River, lines baited and down the hole, waiting for the fish to bite. And every summer, from the one before my freshman year of high school to the one after I graduated from college, I went to work for him – for Francis M. Sinclair Wildflowers – full-time, 40 hours a week. I can’t begin to calculate the number of miles we put on the odometers of his (always) dark green Chevrolet pick-up trucks traveling the highways, byways and very back roads of New Hampshire, Maine and Vermont in search of some tree, shrub, fern, wildflower or plant (“There’s no such thing as a weed.”). That last summer, in 1975, Dad gave my girlfriend Andrea a job, too. Never had the cab of that truck been filled with so much laughter or bug spray as it was during those three months. 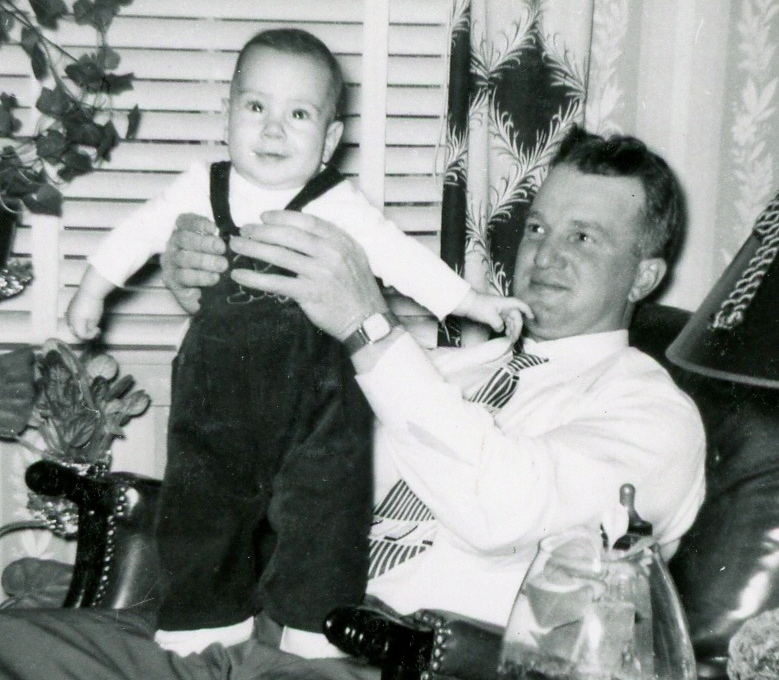 The time that Dad and I spent together wasn’t always about working or gardening or fishing. Dad taught me how to play cribbage and whenever we played, we played on an engraved, oak and steel cribbage board that he’d made back in high school. During baseball season, we both enjoyed catching a Sunday afternoon Boston Red Sox game on TV. Dad even knew a guy who could get us tickets to see a game at Fenway Park any time we wanted to go. I clearly remember he and I watching a Red Sox – Yankees game from seats located only a few rows back from the field; right behind the visiting teams batting circle. As happy as Dad was being a father-in-law – finally there was a good card player in the family! – he was absolutely thrilled when we told him he was going to be a grandfather. Dad became “Grampa” first in 1982 with the birth of our daughter and again in 1987 with the birth of our son. Becoming a grandfather came at the perfect time in my father’s life. He’d retired from the fire department in 1980 and from his beloved wildflower business in 1981. He was also near the end of his last three-year term as an elected member of the board of trustees of Exeter’s Swasey Parkway. 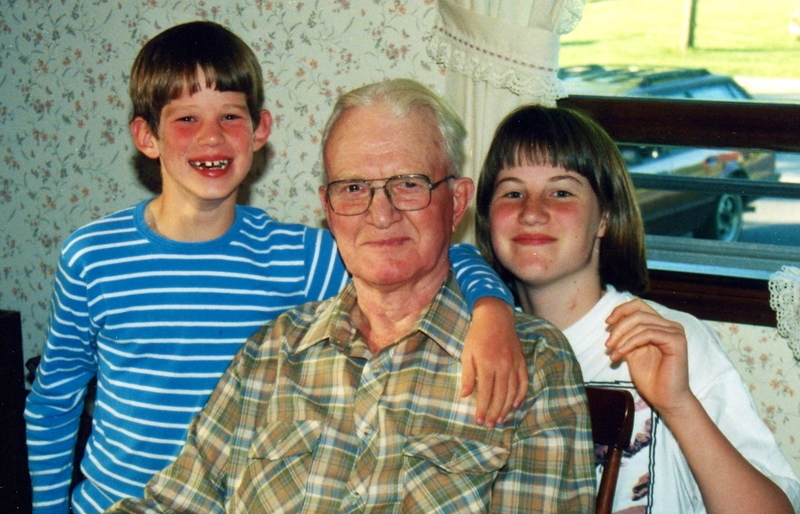 My father became an attentive, loving and exuberant grandfather. He was greatly enjoyed and deeply loved by his grandchildren. In the mid-1990’s, however, both Dad’s and Mom’s health started to fail. Dad had had both knees replaced a few years after our son was born and the unexpected aftereffects of such highly invasive surgery hit him hard. But watching my Mom’s more precipitous decline was devastating. It left my father frustrated, confused and completely broken hearted. Francis Matthew Sinclair passed away on January 26, 2000. As I’ve said before, the most valuable lesson that I learned from my father was the incalculable importance of making your living doing something that you love to do. Happy 100th Birthday, Dad! You’d have been a great centenarian. This entry was posted in Random Topics and tagged Barbara Ann Eames, Charles H. Williams, Francis M. Sinclair, Francis M. Sinclair Wildflowers. Bookmark the permalink. Really interesting, Eric – a nice tribute to your father. I especially liked the reference to the cab of your father’s truck being filled with laughter and bug spray! I think he’d be so proud of you and your family. Thank you, Kristin. That is a pretty good saying! I specifically remember watching Van Morrison in concert on TV one night and Dad muttered that one on his way through the living room. Hi there, I have in my possession a simple postcard written to your sister, Barbara, from her adoptive father. I’d like to mail it to you. I sell vintage stamps for a living, so I have more than enough postage! Looking more closely, the postcard is written to a Barbara Anne, not Ann. Though from Massachusetts, probably not your relative.